Background/Purpose: Given phenotypic similarities between rheumatoid arthritis–associated interstitial lung disease (RA-ILD) and idiopathic pulmonary fibrosis (IPF), we hypothesized that the strongest risk factor for the development of IPF, the gain-of-function MUC5B promoter variant rs35705950, would also contribute to the risk of ILD in patients with RA. Methods: Using a discovery population and multi-ethnic validation case series, we tested the association of the MUC5B promoter variant in RA-ILD (N=620), RA without ILD (N=614), and unaffected controls (N=5448). Results: The discovery population revealed an association of the MUC5B promoter variant minor allele with RA-ILD when compared to unaffected controls (ORadj=3.8 95%CI [2.8-5.2]; P=9.7×10-17). Similar to the discovery population, the MUC5B promoter variant was significantly over-represented among the RA-ILD cases in the multi-ethnic study case series when compared to unaffected controls (ORadj=5.5 95%CI[4.2-7.2]; P=4.7×10-35), and when the discovery population and the multi-ethnic case series were combined (ORcombined=4.7 95%CI[3.9-5.8]; P=1.3×10-49). Additionally, the MUC5B promoter variant was found to increase the risk of ILD among patients with RA (ORcombined=3.1 95%CI[1.8-5.4]; P=7.4×10-5), however, no statistical association with the MUC5B promoter variant was observed for RA alone. The association of the MUC5B promoter variant with RA-ILD increased significantly when restricted to usual interstitial pneumonia (UIP) pattern by high-resolution computed tomography (ORcombined=6.1 95%CI[2.9-13.1]; P=2.5×10-6). Given our results, we decided to explore 12 other common variants previously reported to be associated with IPF (LLRC34 rs6793295, FAM13A rs2609255, TERT rs2736100, EHMT2 rs7887, DSP rs2076295, rs4727443, OBFC1 rs11191865, TOLLIP rs5743890 and rs111521887, ATP11A rs1278769, IVD rs2034650 and DPP9 rs12610495). In this exploratory analyze, we found that 2 other IPF risk variants, TOLLIP rs5743890 and IVD rs2034650, were also preliminarily associated with RA-ILD (ORcombined=2.1 95%CI[1.1-4.1]; P=0.02 and ORcombined=0.59 95%CI[0.4-0.9]; P=0.01, respectively). These findings should be replicated to further conclude to their role in the RA-ILD genetic background. Conclusion: Our findings demonstrate that the MUC5B promoter variant rs35705950 is a risk factor for RA-ILD specifically associated with radiologic evidence of the UIP pattern. Furthermore, other IPF related common variants may also participate in RA-ILD genetic susceptibility. Disclosure: P. A. Juge, None; J. S. Lee, None; E. Ebstein, None; H. Furukawa, None; E. Dobrinskikh, None; S. Gazal, None; C. Kannengiesser, None; S. Ottaviani, None; S. Oka, None; S. Tohma, None; N. Tsuchiya, None; J. Rojas-Serrano, None; M. I. González-Pérez, None; M. Mejía, None; I. Buendía-Roldán, None; R. Falfan-Valencia, None; E. Ambrocio-Ortiz, None; E. Manali, None; S. A. Papiris, None; T. Karageorgas, None; D. Boumpas, None; K. Antoniou, None; C. H. M. van Moorsel, None; J. van der Vis, None; Y. A. de Man, None; J. C. Grutters, None; Y. Wang, None; R. Borie, None; L. Wemeau-Stervinou, None; B. Wallaert, None; R. M. Flipo, None; H. Nunes, None; D. Valeyre, None; N. Saidenberg, None; M. C. Boissier, None; S. Adam-Marchand, None; A. Frazier, None; P. Richette, None; Y. Allanore, None; J. Sibilia, None; C. Dromer, None; C. Richez, None; T. Schaeverbeke, None; H. Lioté, None; G. Thabut, None; N. Nathan, None; S. Amselem, None; M. Soubrier, None; V. Cottin, None; A. Clément, None; K. D. Deane, None; A. D. Walts, None; T. Fingerlin, None; A. Fischer, None; J. H. Ryu, None; E. L. Matteson, None; T. B. Niewold, None; D. Assayag, None; A. Gross, None; P. Wolters, None; M. I. Schwartz, None; V. M. Holers, None; J. J. Solomon, None; T. Doyle, None; I. O. Rosas, None; C. Blauwendraat, None; M. A. Nalls, None; M. P. Debray, None; C. Boileau, None; B. Crestani, None; D. A. Schwartz, None; P. Dieude, None. Juge PA, Lee JS, Ebstein E, Furukawa H, Dobrinskikh E, Gazal S, Kannengiesser C, Ottaviani S, Oka S, Tohma S, Tsuchiya N, Rojas-Serrano J, González-Pérez MI, Mejía M, Buendía-Roldán I, Falfan-Valencia R, Ambrocio-Ortiz E, Manali E, Papiris SA, Karageorgas T, Boumpas D, Antoniou K, van Moorsel CHM, van der Vis J, de Man YA, Grutters JC, Wang Y, Borie R, Wemeau-Stervinou L, Wallaert B, Flipo RM, Nunes H, Valeyre D, Saidenberg N, Boissier MC, Adam-Marchand S, Frazier A, Richette P, Allanore Y, Sibilia J, Dromer C, Richez C, Schaeverbeke T, Lioté H, Thabut G, Nathan N, Amselem S, Soubrier M, Cottin V, Clément A, Deane KD, Walts AD, Fingerlin T, Fischer A, Ryu JH, Matteson EL, Niewold TB, Assayag D, Gross A, Wolters P, Schwartz MI, Holers VM, Solomon JJ, Doyle T, Rosas IO, Blauwendraat C, Nalls MA, Debray MP, Boileau C, Crestani B, Schwartz DA, Dieude P. MUC5B promoter Variant rs35705950 Is a Risk Factor for Rheumatoid Arthritis – Interstitial Lung Disease [abstract]. Arthritis Rheumatol. 2018; 70 (suppl 10). 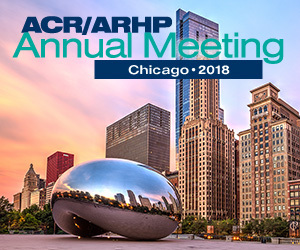 https://acrabstracts.org/abstract/muc5b-promoter-variant-rs35705950-is-a-risk-factor-for-rheumatoid-arthritis-interstitial-lung-disease/. Accessed April 20, 2019.